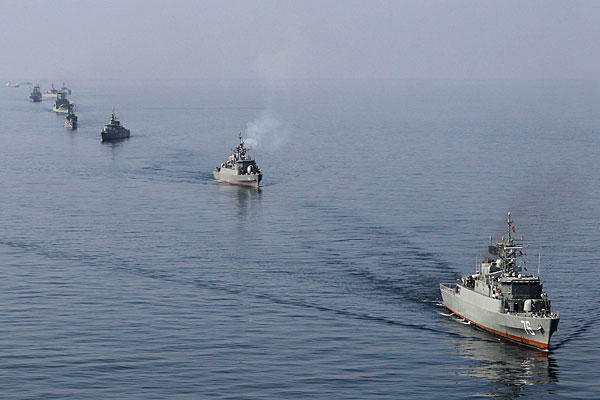 The Iranian Navy announced today that it will conduct maneuvers in an area of about 1 million square kilometers (400,000 square miles), from the Strait of Hormuz, the entrance to the Persian Gulf, to the northern part of Indian Ocean. The maneuvers will begin on Friday. IRAN, a regional superpower and the most powerful nation, militarily, in the whole region of the Middle East as has been written in the book by Robert Baer, The Devil We Know: Dealing with the new iranian superpower. The only country that stand up straightly, directly and bravely against the U.S. global dominations. The rest are the U.S.'s dumb, puppets and slaves. What big shame! https://www.youtube.com/watch?v=bi17rgNoWXM --- Iranian naval order of battle, Armaments, Size, Classes. are you silly enough to think that the Iranian navy is even as strong as the Indian ? What is the most important that Iranian engineers have created naval industry that will bring significant achievements in the near future. In a first stage of any war, the aggressors will attempt to disrupt any electronic communications and cause that iranian missiles will malfunctiuon (due to a jamming or disruptions of their electronic circuits)... And it is the primary problem to be addressed by the navy and other departments..